In the town of Ivana in Batanes, we dropped by the House of Dakay, an old house that is over a hundred years old. Who lives there, and how she inherited it, is a story all by itself. Unfortunately, Lola Ida was not well when we dropped by so we were unable to talk to her, nor even to look inside. Instead, we spent the time photographing outside the house, and that's when I noticed it was built unlike any other stone house in Batanes. 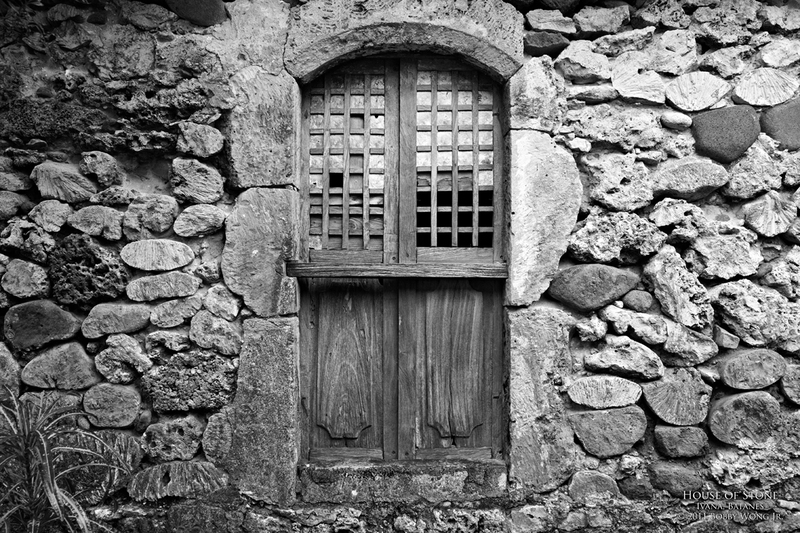 You see, I've photographed many other stone houses in Batanes before... in the nearby town of Mahatao... on Sabtang island where entire villages are still constructed of stone, and eventually also in an older village in the town of Itbud further south. Unlike all these other places where they're made of boulders, the House of Dakay isn't made from stone, but rather, predominantly from real coral skeleton. So what? What their homes are built of tell us a lot about what was available at that time, or in this case, what can be found along or beyond their coasts. Did they mine these corals from the sea? Or just plucked off the shore? One day, someone somewhere will let me know. Enjoy.